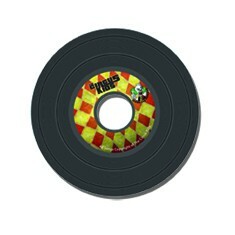 Replicate your large run CDs and choose from our 1 color silkscreen or full color offset on disc printing. We also offer many packaging options including paper sleeves, jewel cases, clam shells, and more! CD replication is a large order CD manufacturing option. If you need, at minimum, 500 discs then our CD replication service is for you. Our disc replication service is perfect for large quantities of CDs for software companies and musicians that have a large following. CD replication will allow you to reach a high volume of people through mixed media products. It also allows you to produce mass amounts of professional looking CDs for distribution to retail outlets. The disc replication process starts by taking the original data and making a glass master copy. Using this master copy we can press your original information onto a blank CD, often called a pressed CD. From here we can replicate the pressed CD multiple times, much faster and more efficiently than the duplication process. CD replication can be printed with two different options silkscreen or offset. Silkscreen used to be industry standard it is typically printed at 125 DPI or for a few cents more choose offset print which is done at 135 DPI offering a tighter print better for photos and detailed images printed directly on the replicated CD. We can handle large scale orders, from 500 up to 1,000,000 with our CD replication service. We have a quality control program that guarantees that every CD is an exact duplicate of the master copy, there will be no loss of quality as more and more CD's are replicated. With our ISO 9660 certification and Phillips Licensing you can be assured that your product is going to be replicated with the highest standards in the disc replication industry. Prices below do not include films.